Thin and Light: Only 1mm thin, won’t add bulk to your phone. Soft TPU with Air-Guard Corner Design: Better protection than hard PC/PP for the iPhone’s glass back. One of our best-selling phone cases globally, the ESR Slim Clear Soft TPU Case is loved by customers worldwide and it’s not hard to see why. The case is made with crystal-clear TPU that keeps your phone’s original style and with an ultra-thin and lightweight design, you’ll barely be able to feel it’s there. Durable TPU resists yellowing and maintains a long-lasting crystal-clear style. Air-Guard Corner technology provides better protection against drops and bumps. Soft TPU material allows for easy installation and removal, and there’s no need to remove the case when wirelessly charging your phone. ELLE EST DE TRES BELLE QUALITE ET TRES ROBUSTE .JE FAIS TOMBER MON TELEPHONE ASSEZ REGULIEREMENT ET GRACE A CETTE COQUE QUI PREND BIEN LES CONTOURS,IL NA AUCUN CHOC .JE SUIS ALLEE CHEZ APPLE ,ILS VENDENT A PEU PRES LA M?ME POUR 55 EUROS .J EN AVAIS DEJA ACHETE UNE A L IDENTIQUE AU MOIS, D OCTOBRE ET JE LAI TOUJOURS CAR ELLE NE SE DEFORME PAS ET NE CHANGE PAS DE COULEUR .JE LA RECOMMANDE POUR UNE BONNE QUALITE PRIX. Just what I wanted, minimalist but enough to offer some protection against falls and make the phone less slippery. Einfach gut. Auch nach Monaten noch top. 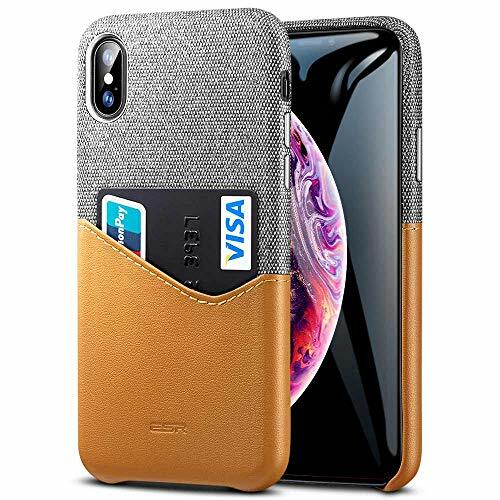 The case feels and looks quality and the phone fits really easily in.The only complaint would be the raised edge at the bottom, which unlike the Apple silicone cases that have a cut-out bottom edge, can get rather annoying when swiping bottom-up. The upside is that the phone’s bottom is protected as well. Been using it for over 3 months.. still looks good… i love it!